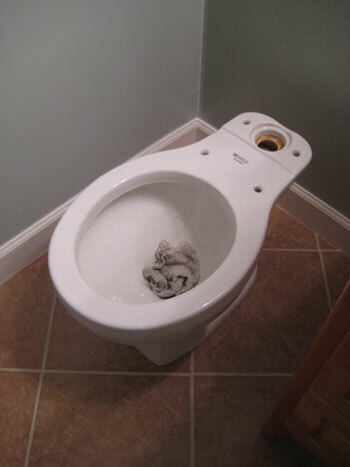 Step Seven: Now it’s time to remove the rag from the hole in the floor (hold your nose for this step) and carefully place the wax ring around the outlet in the bottom of the toilet (with the wax-side on toilet). Press it slightly to be sure it holds, since you’ll be flipping it upside next. 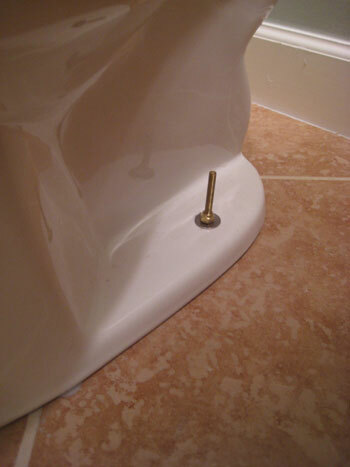 One you’ve carefully flipped it over, line up the toilet over the opening the in floor (the flange) and the bolts. 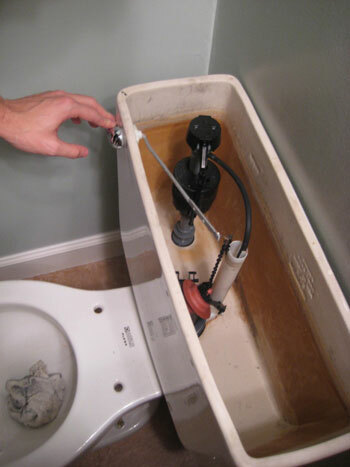 The bolts that hold the toilet down should pass through their openings in the bowl base, and wax ring should make contact over the flange. 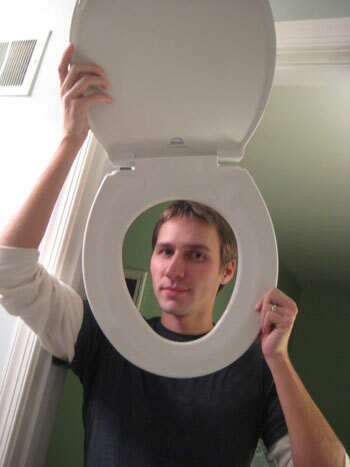 To set the bowl onto the floor, rock it carefully from front to back and side to side while pushing down firmly. 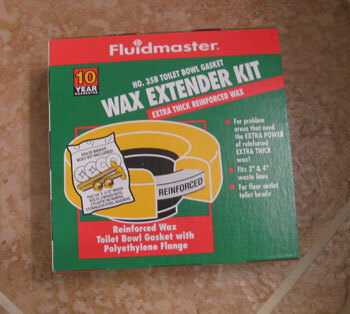 Don’t raise the bowl from the floor while making adjustments or you’ll literally have to replace the wax ring all over again as the toilet will leak to no end each time it’s used. It’s happened to us. 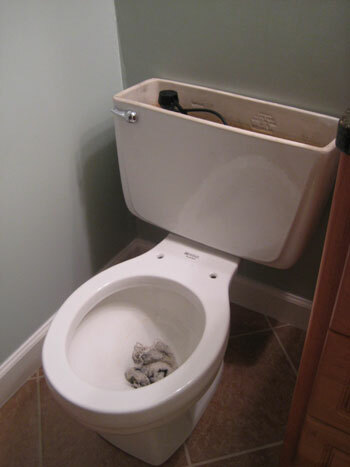 A very common reason to replace a toilet is by way of installing a new floor. To answer the above question, it is very necessary to make sure that the flange is level or near level with the floor surface. 1/4 inch plus or minus is the most you want to be off. For the person who was 3/8 off and for those who use the extra thick wax ring or sometimes double up on rings to make up for non level flanges are taking a big risk. They make flange extenders to allow for new flooring installation. Use them.